February 2016: Tips, eNews and More! We recently celebrated Dr. Schacht's last day at work prior to his retirement. 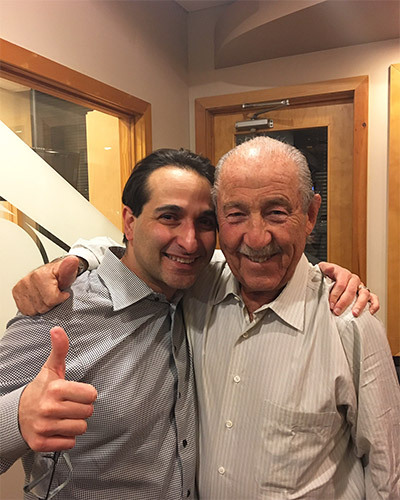 We toasted to his incredible career of 58 years. It was an extremely emotional day where many tears were shed. 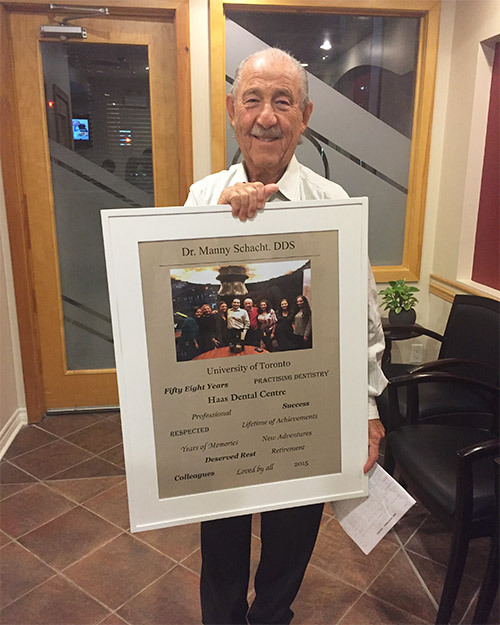 There are very few of us that will ever be able to accomplish what Dr. Schacht has. We miss Manny immensely but are glad that we will still get to see him periodically for his hygiene and checkup appointments. 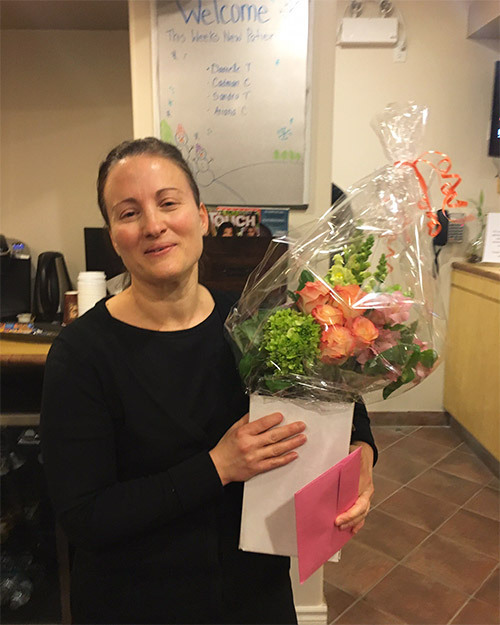 We are also sad to say goodbye to Iola who has been assisting Dr. Schacht for the past five years. Her genuine warmth will be missed by all. 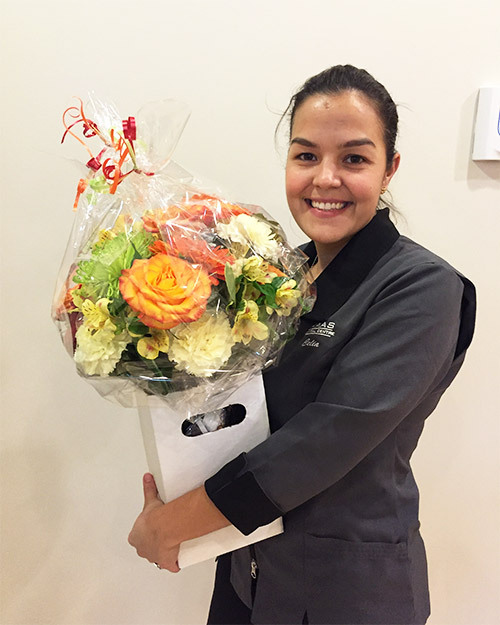 Our incredible assistant Celia just celebrated her 10th year anniversary as Dr. Dan's assistant. We are very proud of the great impact she has brought to our team and patients. Celia, keep up the great spirit, energy and zest. 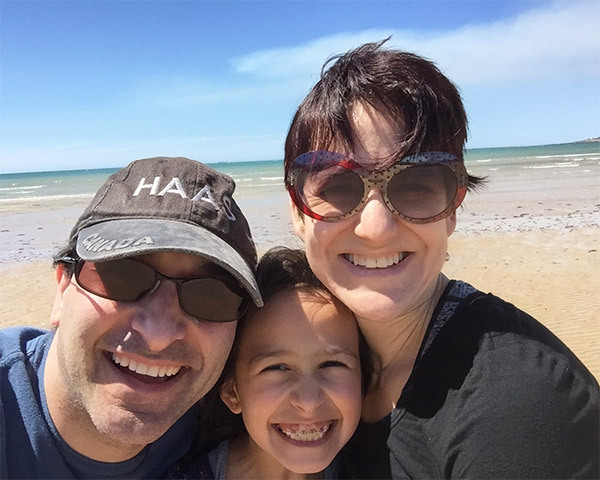 Dr. Dan and his family recently returned from a three week vacation to Sydney, Australia. They primarily went for a wedding for Daneal's cousin who 14 years earlier was a flower girl at Dr. Dan and Daneal's wedding. 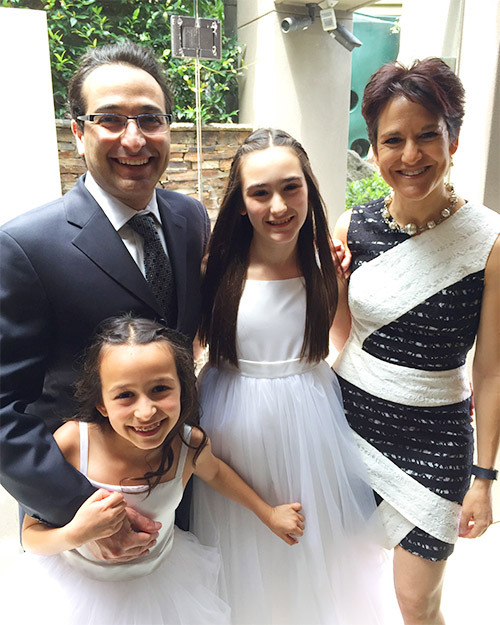 What made it super special was that their girls Yael and Limona were now the flower girls and that the actual wedding day was on the same date as their Wedding anniversary. Among the many family functions Dr. Dan's family got to visit Tasmania where they got to see a lot of wild life literally at their footsteps. 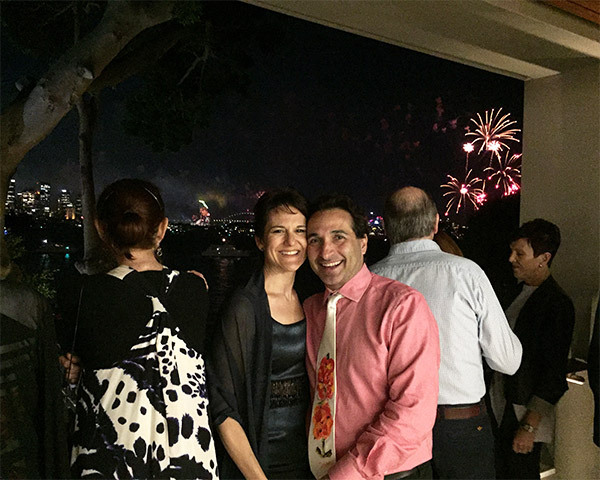 They also had front row view to the famous Sydney New Year fireworks. The great fun they had made up for the super long travel days which took about 23 hours each way. 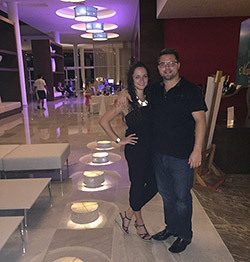 Liat and her husband enjoyed their holiday break. They took the opportunity to spend time with family during the mild winter weather. 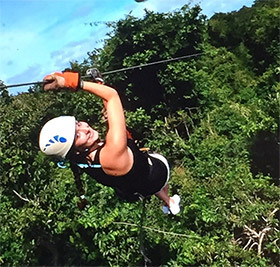 They also took a relaxing vacation to Mexico where they soaked in the sun and did some zip lining. Nicole had a wonderful holiday. She spent the holidays with lots of family and friends. One of her brothers who she hasn't seen in 6 years came to visit. They did a lot of the touristy things around the city like go to a Raptors game and sight seeing. Now that the holidays are over and routines are back to normal Nicole and her family have been trying to take advantage of the mild winter with outdoor activities, this past weekend they all went skating the Richmond Hill Skating Trail. 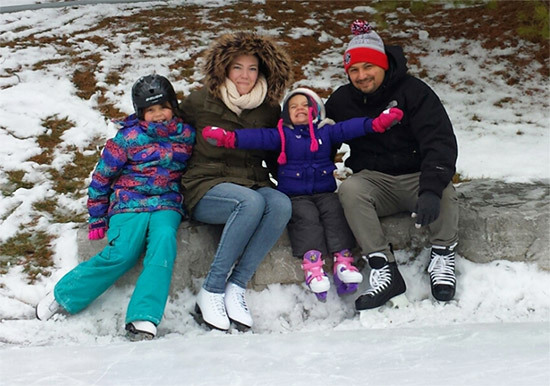 Antonella and her family enjoyed their winter break. They had a great time sleeping in, visiting family and enjoying outdoor skating. Although it has only been a few weeks that they have all had to get back to routine, they all miss the break and are looking forward to their next time off. Diana spent the majority of her holiday season confined to her bed. She had ankle surgery earlier in December to reattach a torn ligament and had to keep her foot elevated for six weeks. She just recently returned back to work and even though she is still in a walking cast she is excited to be back. 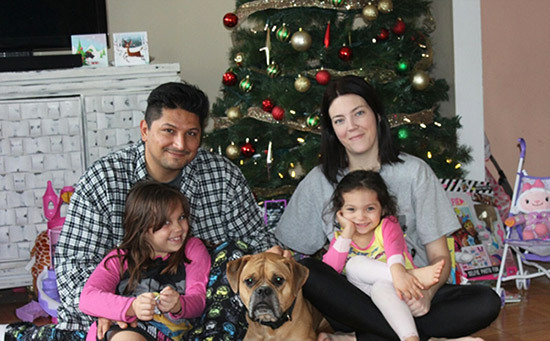 Celia and her family sent their holiday season in town. They spent a lot of time with family and friends. It was a nice and relaxing break for the whole family. The best part was not having to set up the alarm clock for two weeks. But all good times have to come to an end and with that comes routine. 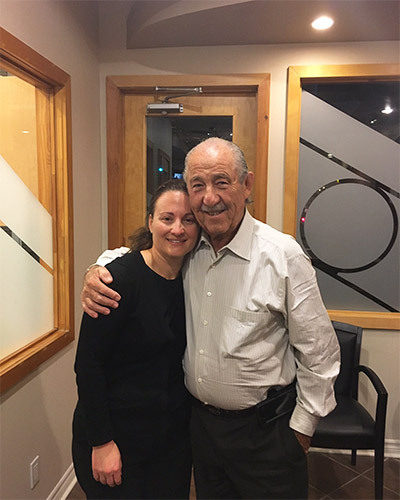 Celia's daughter, Monica, has been busy practising for a ballroom dancing recital that will take place in late February. 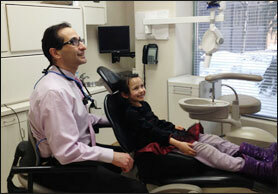 When Should A Child Visit The Dentist? A child’s first dental visit should be around three years old unless you notice anything of concern like discoloured teeth which may be a sign of a cavity. If you are unsure please give us a call. A fun experience for children goes a long way in relieving their dental anxiety so we do encourage kids to come visit before their first appointment so they get to meet the dentists, our staff, and get a tour as well. In any case there's always hungry koi fish to feed! Winter is here, and warm stews are officially in season! 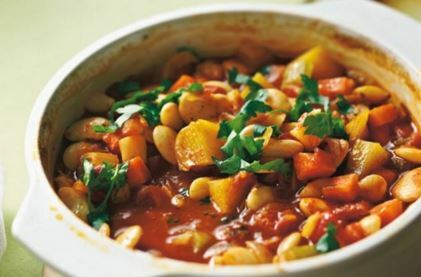 This hearty stew filled with nutrient-rich root vegetables is perfect for those cold evenings when you need a tasty dinner that packs a nutritious punch. Prepare on the stove-top, or throw it all in the slow cooker for a meal that practically makes itself.